Unique storyteller, Dries van Noten, stunned us this time also with his ‘outside of the box’ show which he referred to as Art Brut, or Outsider Art, for its freedom and lack of rules he and his team indulged in. 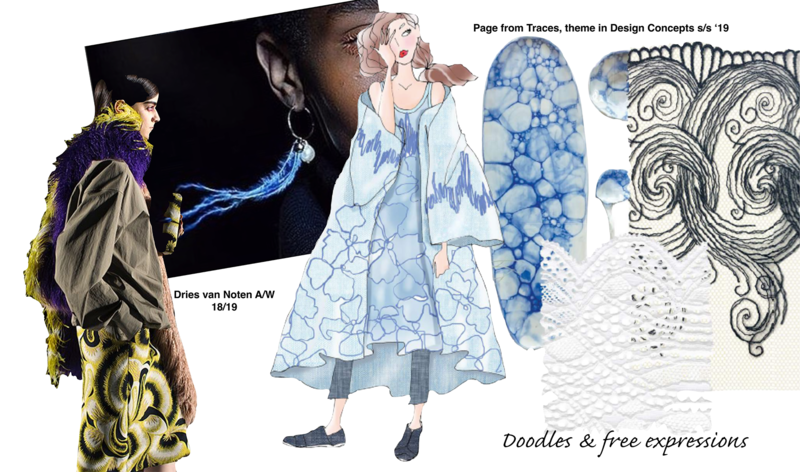 In our Traces theme from Design Concepts SS 19, we also let ourselves go in this longing to escape the often formulaic trend language. We found inspiration in remains of nature and moved back and forth between the bits and pieces nature leaves behind and imprints on our collective memory. Shape wise we love to be freed from gender specifics and in doing so found a lot to be happy about.